~~> Pet pals forever! 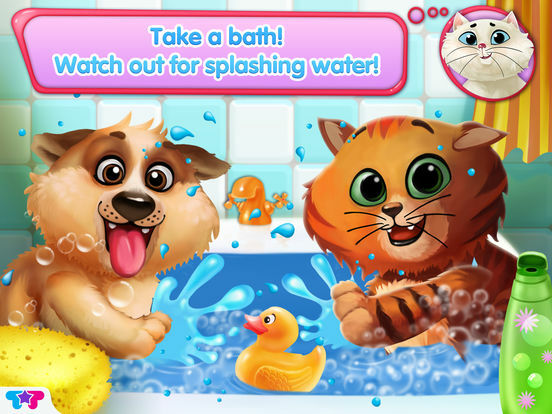 Join 4 adorable kittens & 4 puppies in 6 crazy fun games & adventures! 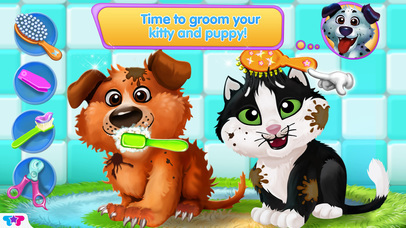 ~~> Care for these puppy & kitten BFFs when you feed, clean, and groom them for all sorts of fun! ~~> Puppy & kitten bash! Dress ‘em up, get them to pose for a picture in photo fun, and even sing along with them! Get ready for the cutest adventure of all! 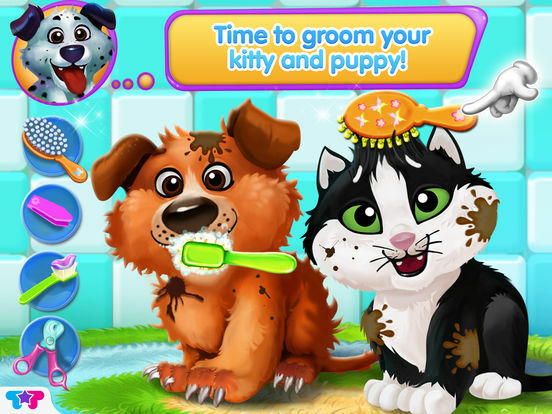 It’s time to play and take care of all the puppies and kittens! 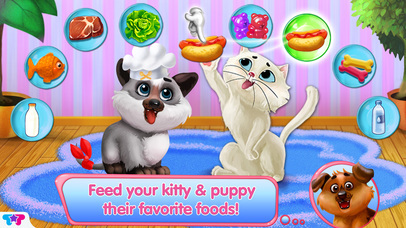 Feed all the puppies & kittens & watch them wag their tails and pur with happiness! 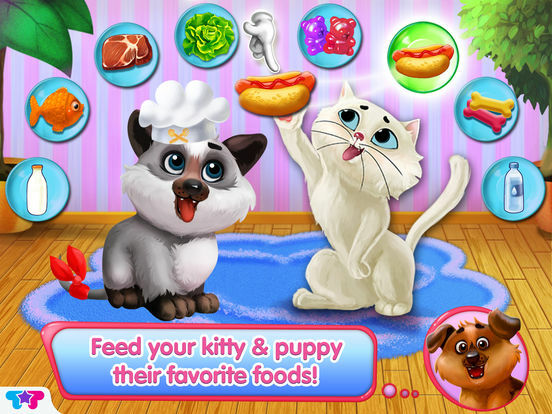 Give them steak, pieces of fish, & even dog food! Give them the right food though or they won’t eat it! Those puppies and kittens can’t wait to be all dressed up! 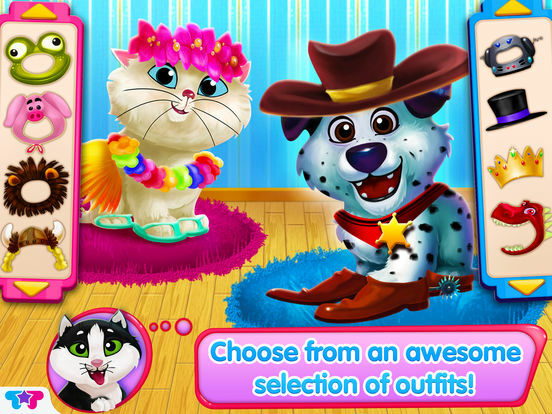 Pick all the right clothes and accessories to make them the most glamorous pets the world has ever seen! Race to see who can get dressed faster & fill up their tool bar first-- they’ll win a star! These puppies and kittens are special, but the whole world doesn’t know yet! It’s your job to make them do the best poses and put them in the best scene possible to show the world just how adorable they are! Take a bath! Use shampoo and soap before using the blow dryer to dry them! Be careful, they can always splash water around so be sure to use the right techniques! Now that they’re as clean as can be, give the pups and kittens the chance of a lifetime to become the stars that they’ve always wanted to be! 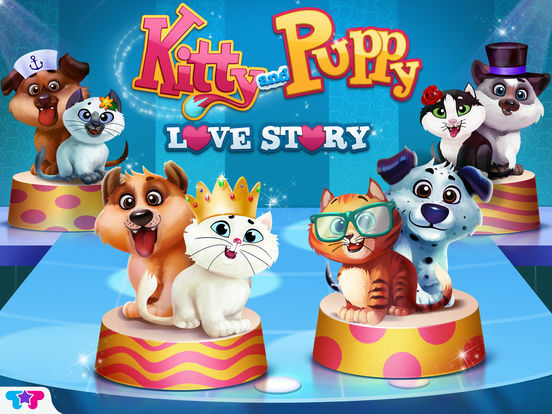 Play with them in the fun musical game we’ve got in store for you in this app!